Hi I’ve recently taken up my new role as a Vehicle Enquiries service designer. I’ve worked for DVLA for 11 years, in our Contact Centre, starting off as a telephone advisor and moving on to operational management, to coaching and leading a number of teams. This move has been a huge change, after working somewhere for years you get to know how everything works, who everyone is and most importantly who to call if something goes wrong. I’ll have responsibility for any services involving our customers eg vehicles data, VVR for fleet companies and VES. These services are continually improving and I’m sure there will be lots of exciting challenges ahead. Natalie Morgan recently took VVR through its live assessment with GDS. This service is quite small, under 100,000 transactions per year, but it’s of real benefit to fleet companies because of the sheer volume of vehicles they manage. I’m really pleased that the assessment was a success, so a BIG well done to Nat! 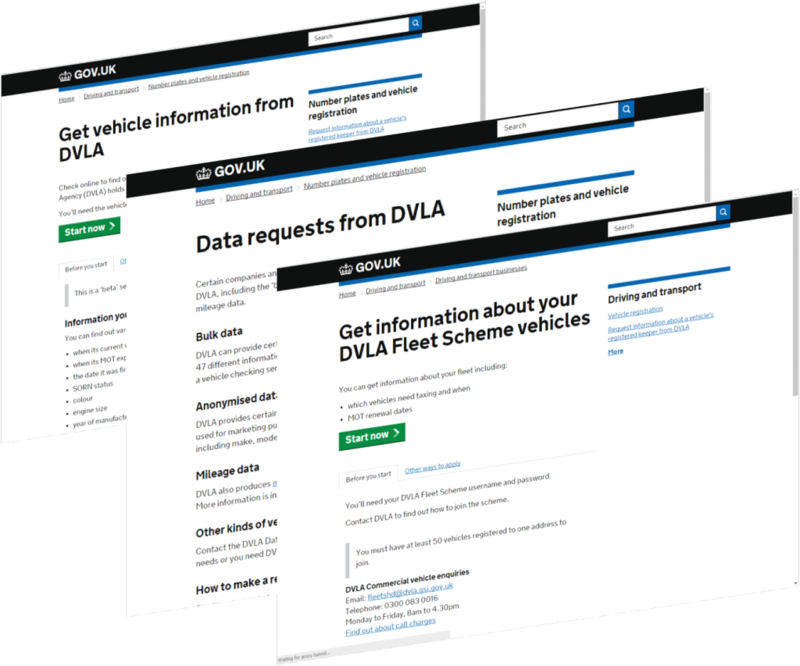 I’ll be working with DVLA’s commercial vehicles team, who deal with fleet transactions over the coming months, to look at rolling out this service to other fleet operators. We’ve 590 fleet companies listed with a take up rate of 61% so far. I’ll shortly be working with my colleagues in common services to develop an API (sounds technical I know) – which allows vehicle data to be shared between business systems. To put it as non technical as possible an API is a piece of code that allows systems to talk to each other in the cloud (which is a network of servers hosted on the Internet used to store, manage and process data). The focus is very much on getting a platform ready so it’s capable of bringing on board new services. Before we develop any APIs we firstly need to understand what the requirements are eg what data items are needed and most importantly why the end user needs that data (what it will be used for). It means companies can build their own front end services (that’s websites for you and I) which link to the API. Most government agencies have plans to develop APIs (some have developed them already). Any data requests need to be cleared by our data sharing team before we can start development. In line with our 3 year strategic plan I’ll be looking at some of our other services in the next 12 months, specifically around KADOE (keeper at date of event) and the WEE (Web enabled enquiries - which allows local authorities to get registered keeper details to identify abandoned vehicles - it’s also used in congestion charging). I’ll also be working with the business to update and deliver improvements for our customers. Digitising some of these services is going to be a challenge due to the sheer number of contracts that are in existence.